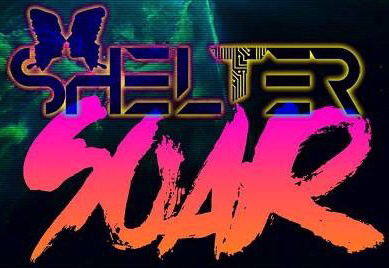 Erasure4rum Asks Shelter V4-Soar Edition This thread currently has 389 views. 1. Here we are again guys with the third full Shelter album, we've Emerged, Ascended and now we Soar along with you on this amazing journey. How does it feel to be in this position again? We’re thrilled thank you. It’s amazing when you’re finished and pull everything together to hear what you’ve done. This time around we feel we’ve really captured the essence of Shelter with ‘Soar’. 2. How has this album differed from the last two? Has it been easy to make this time round? (Rob) It’s definitely been the easiest and most enjoyable album to write together. The songs just came together very quickly because we wrote and recorded them all together in the studio. (Mark) For me on a very personal level, Soar has been more challenging by choosing to write about many emotionally charged experiences that have occurred over the last year. I’ve tended not to do this before. There have been moments when recollecting those feelings has been extremely difficult for me, but the hope is that it allows the listener in and makes the songs more relevant to people who may have experienced similar things in their own lives. (Rob) This album differs from the previous two in as much as we’ve tried to just let the songs take whatever direction they needed to capture the mood without worrying too much about format or genre. 3. We all know and love you from being a part of this big extended Erasure family, We know you’re big fans of Vince & Andy but now you’re about to embark on a support tour slot with the legendary Human League. That will open up yet another big fanbase to bring into the world of Shelter. You must be flying high, how did this come about and what’s your personal thoughts on being in this position again? (Mark) I’m so excited iPop! (like what I did there ) it’s an incredible opportunity brought about by the neon galactic supernova that is our gorgeous and charismatic manager @Simon Skinner. He’s made this happen. We don’t know how and frankly who cares how! It’s amazeballs simple as. Yes this one will be twice as long as the VF Tour with Erasure which was 8 dates, The Human League tour is 15 dates spanning Belgium, Holland, Germany, Denmark, Norway & Sweden. It’s just so ridiculously exciting!! I fell in love with Phil’s asymmetrical hair years ago (inspired my asymmetrical style during the VF Tour as you may recall). Rob & I are big THL fans and we will be listening intently to the voice of buddha! (Rob) I’m so thrilled but my head is full of a squillion things that we need to do to get ready for this amazing opportunity. 4. I’ve been thinking about this new tour support slot and it brings me to think how about iPop 2 featuring the Human League?, Phil has done guest vocal for Giorgio Moroder (Together In Electric Dreams) & Little Boots (Symmetry) so it’s a possibility. What are your thoughts on this idea? 5. A live album is part of the Soar campaign. You did this before with Ascend. It’s from a London gig, What happened to the Lift Me Up recording from the Cambridge Pink Festival?,I was hoping that (& gig) would've seen the light of day, I’m assuming its because the later gig had more from this new album. Will we ever see the release of the only live performance of LMU featuring Andy? (Mark) Again anything is possible, but as you quite rightly point out, everything we’re currently doing right now is to promote ‘soar’ and ‘electricity’ is our recent Islington gig for Synth Wave 2 / TEC whereby we played new tracks from soar for the first time and so that gig in particular goes hand-in-hand with soar the album really. (Rob) Trying to give ‘soar’ tracks a chance to be showcased in a live environment felt appropriate and relevant for this crowdfunder. 6. Shelter have had two previous albums Emerge & Ascend, ,so i was amazed at the inclusion of a singles collection Hybrid Hearts, mainly due to it being a 17 track collection, but when you look through the list Shelter have been very busy previously with collaborations with Frankmusik & Neil Francis, before we even get to Andy Bell etc. How do you feel about this amazing catalogue of gems that you've produced? (Rob) We’re really proud of what we’ve achieved so far. (Mark) I sat back and listened to ‘hybrid hearts’ for the first time properly just last week and was myself pretty shocked at our body of work. Hearing them back to back felt so exciting for me all over again and as fresh as when we wrote them. I agree, it’s crazy to think just how far we’ve come since those early days. The people we have collaborated with have been dream-like and something we will always carry forward with us. So lovely of those guys to put their trust in us as songwriters / producers in the way they all have. 7. Soar is very Shelter orientated album, being no guest vocals etc. Were you trying to show the heart of the band is just as strong as when you double up with other artists? (Mark) Mat Smith from ‘Documentary Evidence’ wrote a great review of our previous album ‘ascend’ and mentioned that the highlights for him were when we did non-collaborative tracks i.e. pure Shelter tracks and so I think those comments planted the seed for this, our first totally Shelter non-collaborative album ‘soar’. (Rob) We pre agreed that the third album would be pure Shelter shortly before we finished Ascend. We’ve found that the process sometimes took longer with collaborations simply because there were more people involved in the creative process and these people all work at different speeds. 8. Also i see that on the Retro/Spective 2 CD we have a new version of the track 'Destination (Shelter's Retro Remix)' is this what the original version of the song (extended) would sound like?, As the original iPop version was a remix in itself by Matt Pop. (Mark) You’re in for a real surprise. This version of ‘destination’ has never featured anywhere previously. It’s actually Shelter performing ‘destination’ and you’re either gonna love it or loathe it! Lol. The Jekyll has given it a suitable retro-80’s ‘pick me up’. The Alpha Belles, Andy Bell, now here comes our version....(well we did write it after all) No pressure then!!!! 9. Erasure have brought us over 32 years of top quality music that still sounds fresh & vibrant as it did the day it was released, This legacy we are all proud to be a part of has now got an extended Erasure Family of artists that are all now producing amazing sounding material including artists such as yourselves, Shelter, Destination, Breathe Of My Leaves & Matthias ...... travelling in tandem with Team Torsten (Barney & Chris) all remixing for each other etc. As a fan this spectrum of diverse musical talent is a never ending stream of new quality output, synthpop is alive and kicking what do you think Shelter brings to this melting pot? 10. Matthias brought out the superb single 'Code' featuring Mark on vocals, that was a glorious surprise perfect analogue synths and a very clever vocal it just goes to show what greatness can be achieved when you cross the streams!, Are there any future projects (you can talk about) for either Mark or Rob?,or is it full steam ahead for Shelter? (Mark) The Jekyll & I do work on different bits & pieces independently and have always done so in one way or another. Shelter lies at the heart of what we do together. It can be healthy and exciting to work on different projects (Vince and Andy’s lifelong working relationship attests to that). When we do come together we each bring a plethora of exciting new and different ideas to the table that can be called upon to create something new and original, albeit with a Lil twist of shelter of course. (Rob) I’ve been working on the less is more philosophy for the past couple of years. I don’t have much time for music and I prefer to spend what little free time I have creating Shelter tracks. They make me happy 😊. That said I’ve managed to squeeze in one remix for a famous artist that I’m sure everybody in the Erasure4Rum knows and loves! LOL. 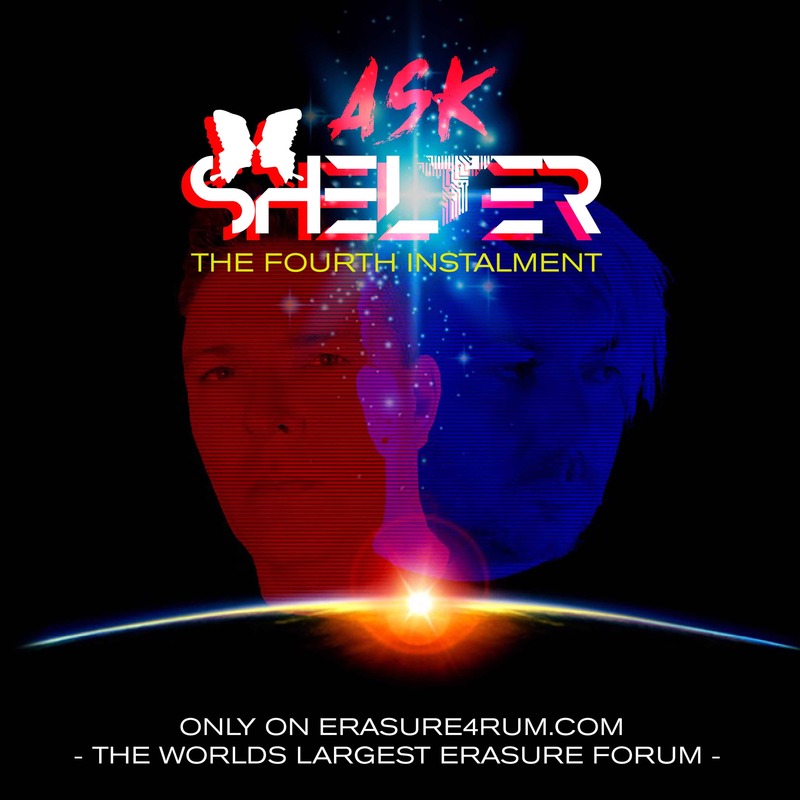 Erasure4rum would like to continually thank Team Shelter-Mark,Rob & Simon for their help in making this Ask feature for a record 4th time. Also to Stephano Barberis for the graphic design for E4M Ask features. Thanks also go to everybody who reads and comments on this feature. Great interview, thanks for sharing Pughie I'm late as usual, and only just got my first Shelter CD (Ascend) a week or two ago and it's great. Currently in the process of hunting down their first. Better late than never, right?? I didn't see this mentioned - any idea where can we buy Soar when it releases? Will Lexer carry it? I registered and tried to make a pledge, but it looks like I may have missed the window?? I can't seem to find any way to make a pledge. Has the crowdfunding campaign totally ended? The crowdfunding has ended,keep checking their online shop as when they are sent out spare copies I'm sure will appear. Darn, too slow! It would have been great to pick up that CD bundle. It's ok though, I've got a little Catching Up With Shelter to do I went ahead and purchased a bundle of all their previous CDs from their site. I also added all of their singles to my library with Apple Music. I need to enjoy and internalize those first, and I'll pick up Soar and the other new discs down the line. Full CD bundle now available in Shelter shop.